Grab your cars and let’s play. Busy SLPs grow talented at utilizing a single therapy toy for multiple functions, groups and skills during the day. For me, the best way to do therapy is to find a toy or book and use it all day with every student on your caseload. No one has time to plan separate materials for groups that are back to back all day. Today’s topic is cars! I bet each of you have several of them somewhere in your office! Start with a communication temptation. Put the cars in a bin that the child can’t open or can’t reach! Have the child ask to open it, ask for help, or make a request. Use the cars to work on following directions. Give directions for creating a ramp, locations to drive to, and a place to make a parking lot. Use the cars to work on speech fluency. Talk about bumpy speech and smooth speech. Find something to make the car run on a smooth surface and one bumpy. 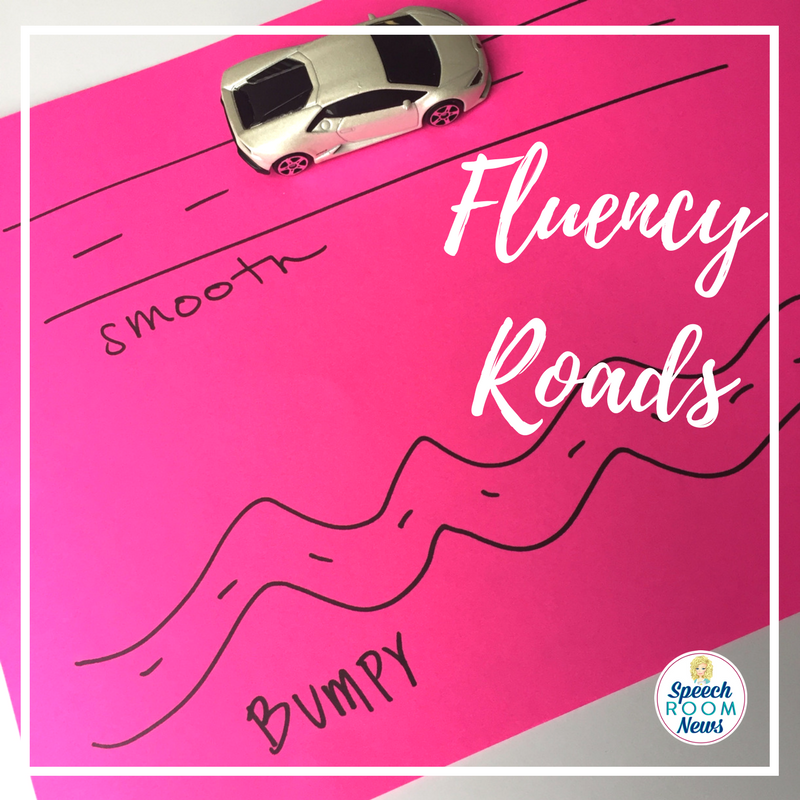 You can also focus on fast and slow speech for your fluency students. 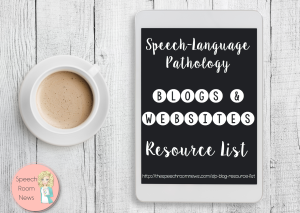 Practice speaking fast and speaking slow. Create verbal routines. Think “ready, set, go” or “one, two, three”. 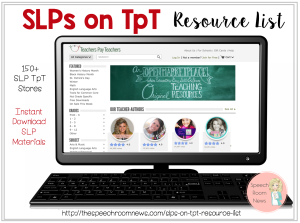 Model the phrases and ask your student to repeat it! Target fricatives using vehicles. Teach your student that they should hold out the sound while they drive the car. /t/ is a parked sound. /s/ is a driving sound. They have to hold out the sound while they make the /s/ car go. 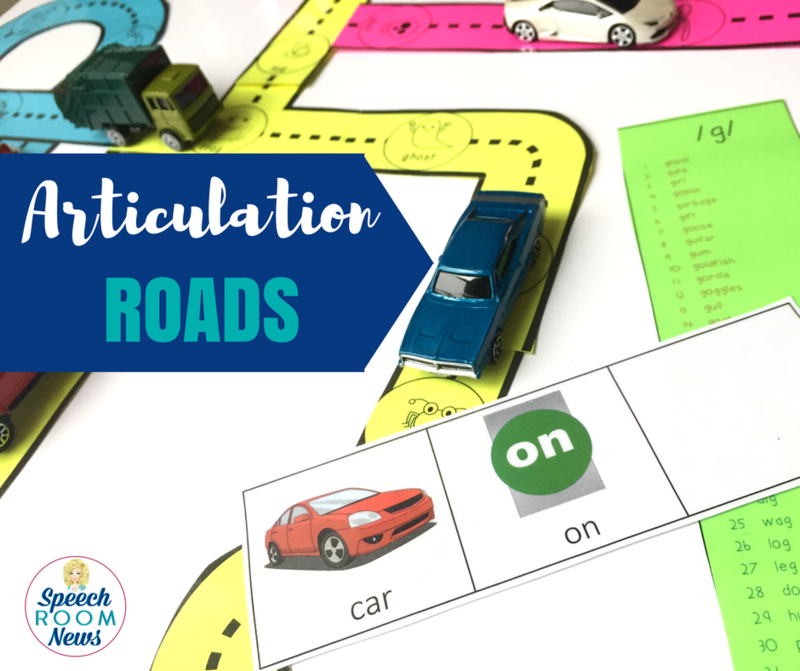 Grab these Articulation Roads from my store and let your students create their own play town. Every time you run over a word practice it! These are perfect for mixed groups and for homework! Let one student be a NASCAR announcer while the other student drives the car around your office. Encourage him to use expressive language to describe where the car is (prepositions) and how the car is driving (adjectives). Drive your cars around the room to search for target articulation sounds. Find things in the room that have your sound. I love doing crafts with my kiddos and using car tires to paint a picture can be really fun. Put paint on a plate and let the student drive the wheels through the paint. Then drive the car over the paper! Super fun! 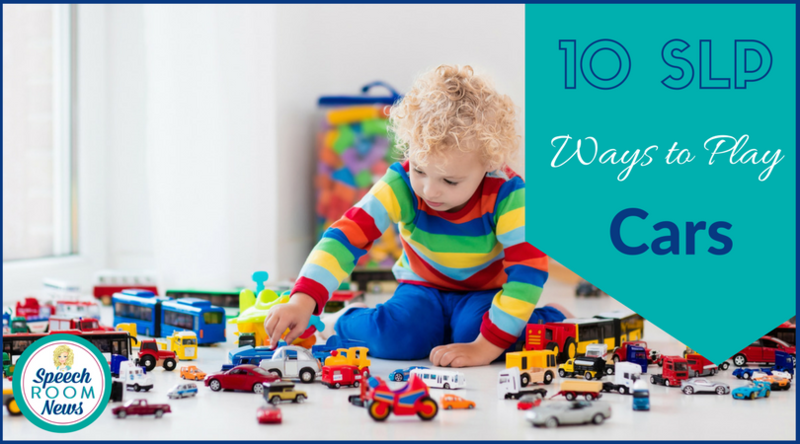 Have fun playing cars with your kids while targeted lots of speech and language targets! 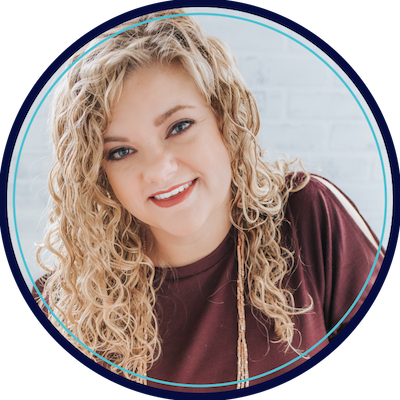 I have kids use descriptors to request the cars they want or I use them to request cars I want. . We also sort them into different categories.